For one thing, your brain (and your reader’s brain) is better at processing visuals than text. In fact, 90 percent of the information that our brain gets is visual, and it processes that information 60,000 times faster than text. Read on to learn about the eight most effective types of images, and where to find them online. There’s a lot more to stock photos than business guys in suits walking along growth charts. Used correctly, stock photos can elicit real emotions in your readers. This can be especially helpful at the beginning of your post, where you’re trying to set the scene for the message you’re about to deliver. Flickr makes it really easy to search for Creative Commons-licensed photos. 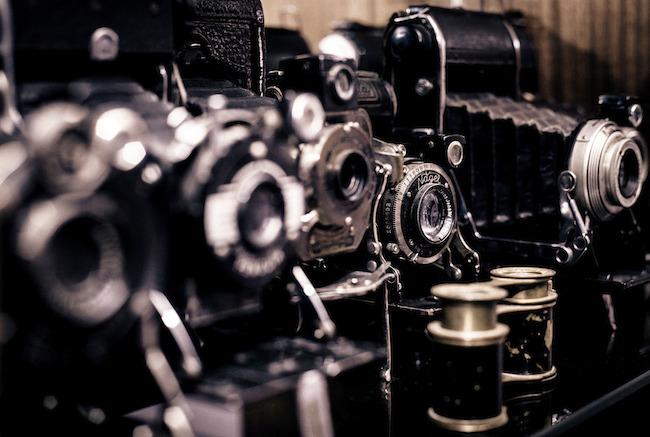 For an exhaustive list of stock photo sources, see Buffer’s post on 53+ free image sources. Screenshots are a great example of showing instead of telling. Sure, you could tell your readers about the email you got. Or, you could show them, and let them see it for themselves, while adding authenticity and a visual break to your post. Here’s an example from Ramit Sethi. But that wouldn’t be nearly as powerful, interesting, or engaging. Where to get screenshots: Use a tool that makes taking, storing, and sharing screenshots easy; I prefer Snagit, available for both Mac and PC. Given the complexity of most statistics and reports, using images is the best way to convey quantified data. Especially if it’s something that you want to stick with your reader, because we remember images much better than we remember words. Where to get charts and graphs: If the visual you want doesn’t already exist in the reporting tools of your analytics app, you can easily create charts and graphs using Spreadsheets in Google Drive. When you’re telling a personal story, using an image — even one shot on a cell phone camera — can make it connect on a deeper level. Photos can make your readers feel like they’re there with you. Chris Guillebeau, world traveler and entrepreneur, gets a lot of questions about his packing lists. But instead of just posting a checklist of items, he takes us through his list in a much more interesting way. Where to get personal photos: You’ll have to take these yourself, of course. One important thing to note, though: don’t get hung up on image quality here. Often, a grainy cell phone shot will do just fine, and could even add authenticity to the story you’re trying to tell. This is one of my favorites, and one that we use on the Groove blog quite a bit. Pop culture images latch on to connections that your readers already have with a particular movie or TV show, so the emotions are much easier to draw out. I’m a big fan of Breaking Bad, so that’s one that we lean on in posts like this one. Where to get TV/movie still frames: Perhaps surprisingly, Google Image Search is my favorite source for these. For example, typing in “Breaking Bad money” leads to hundreds of great results. Especially useful for breaking down big multi-lesson message and research findings, infographics make large amounts of data digestible. They can also be — and often are — shareable content in their own right. Neil Patel at Quick Sprout uses infographics in a lot of his posts; notice how in this one about calculating the ROI of SEO campaigns, he delivers a valuable blog post and a valuable standalone infographic at the same time. infogr.am is a free web tool that lets you create infographics quickly and easily. If you don’t want to take the DIY route — and are willing to pay — try Visual.ly. Sometimes, the images you want to include in your post don’t exist. Fortunately, that’s not a reason to not use them. The cost of custom art doesn’t have to be high, and you don’t need to have a designer on staff to create it. Where to get custom art: I’ve had great success with freelance marketplaces like oDesk, where you can post a task for the design job you want, and designers bid on the project. Laughter is a powerful emotional reaction to elicit from a reader, and comics are a great way to do it. You can often find interesting unknown comic artists on your favorite social media platform. The research is clear: images are a super effective way to make your blog posts more interesting, useful, and valuable to your readers. And now, I hope that this blog post has given you ideas for how to incorporate imagery in your content, and where to source it. If you’re not already using images — or not using them to their full potential — give it a try. You may be surprised by just how powerful a picture can be. How are you using images already? Which idea(s) from this post are you excited to try next? Join the discussion on Google+ and let us know. Editor’s note: If you found this piece useful, we recommend this episode of The Lede: How to Choose Arresting Images for Your Blog Posts (And Why You Should). Image credit: Mario Calvo via unsplash. Alex Turnbull is the CEO and Founder of Groove (an easier way to handle customer support) who loves to build startups and surf. Read his latest posts or follow him on Twitter.